Please join us for an artist talk by Michael F. Rohde and reception at the Craft in America Center from 5-7pm. Talk begins at 6pm. 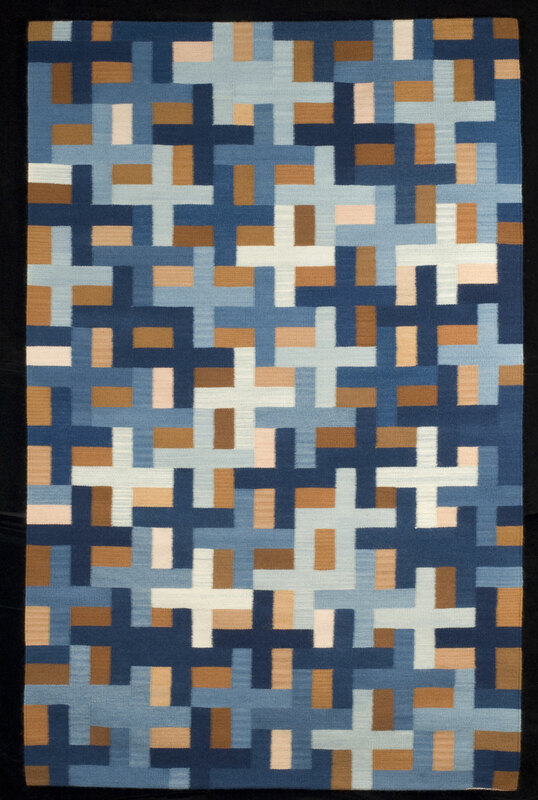 From Rugs and Patterns to Tapestries and Ideas, the Evolution of a Handweaver is in conjunction with the Looming Elections exhibition at the Craft in America Center. Please RSVP: (323) 951-0610 or rsvp@. In light of the imminent 2012 election, Craft in America proudly gathers together politically charged work by five contemporary textile innovators. 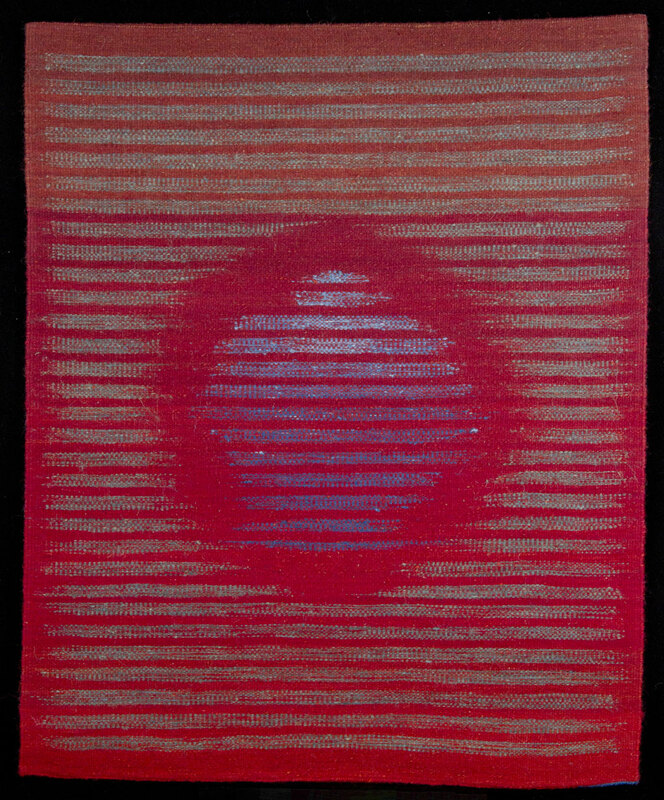 This is a vast and varied group of exceptionally skilled artists who push the medium of fiber, and the traditional technique of weaving, into new realms. 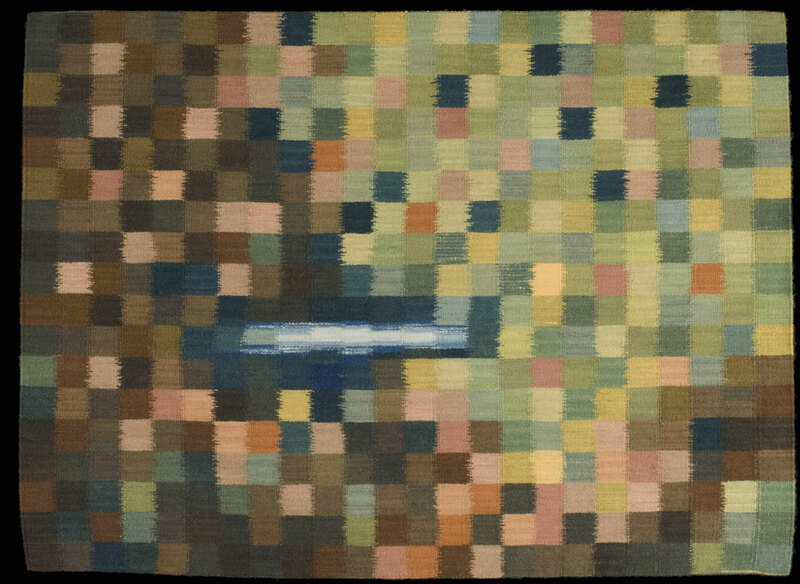 Their work redefines what weaving can be, in terms of method, material and meaning. Visually engulfing, boldly crafted, their messages speak loud and clear, causing us to reconsider the road our nation has paved and where we are heading. Each of these five artists comes from a different aesthetic standpoint but they are unified by their desire to explore the expressive potential of fiber. Tanya Aguiñiga, who trained in furniture design, experiments with alternative weaving structures and explores concepts of border identity and ethnicity in her site-specific work. 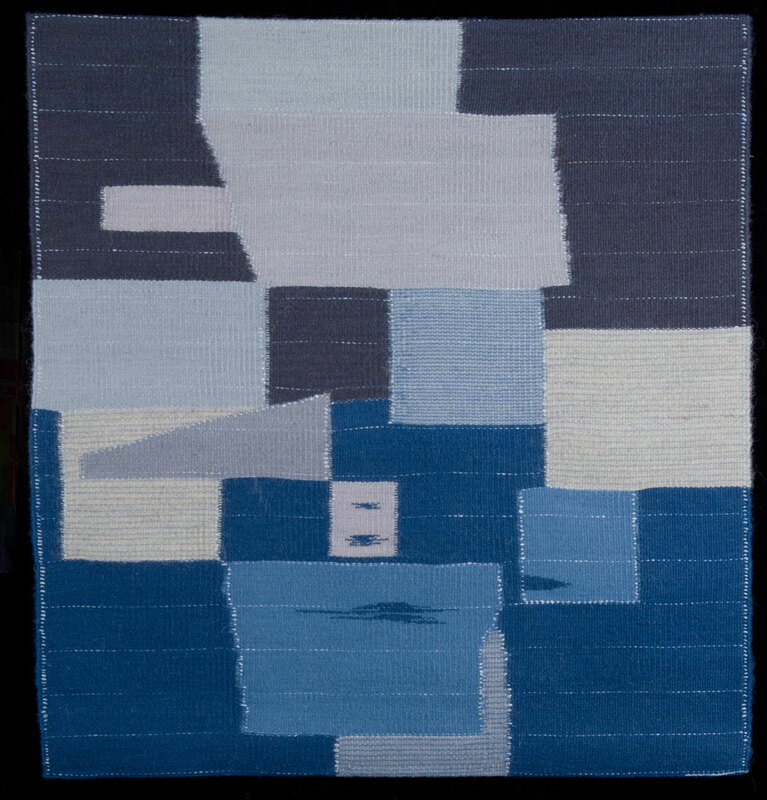 Connie Lippert is known for tapestries woven in the traditional Navajo wedge weave, here employed to map our world and question where we stand. 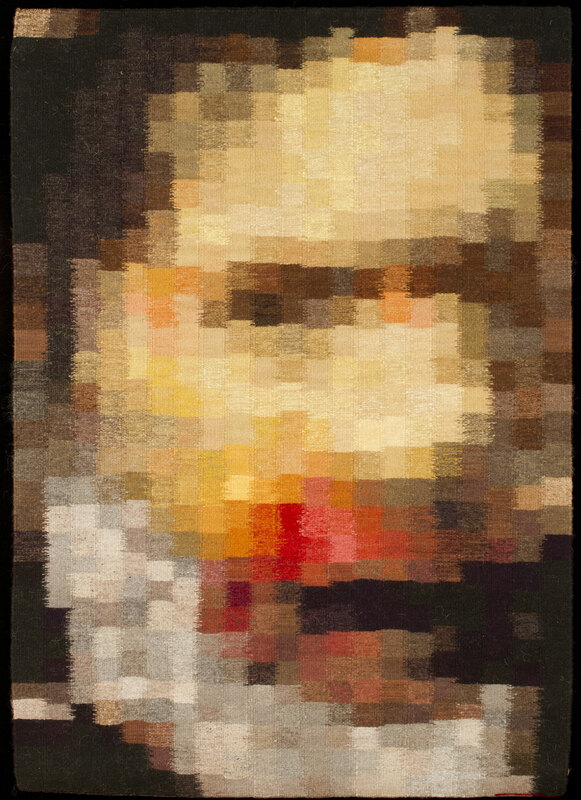 Michael F. Rohde paints poetic, suggestive meditations on modern life in yarn, using strong geometry and vibrant color. 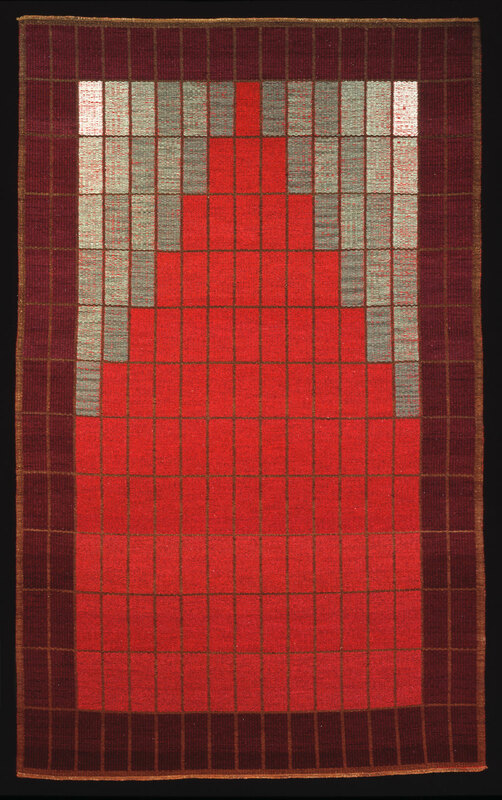 Cameron Taylor-Brown uses the language of woven cloth to, in her words, “shape order out of chaos.” And Consuelo Jimenez Underwood’s outspoken works in fiber challenging our conceptions of ethnic politics and calling into question social and economic hierarchies that exist in American life. 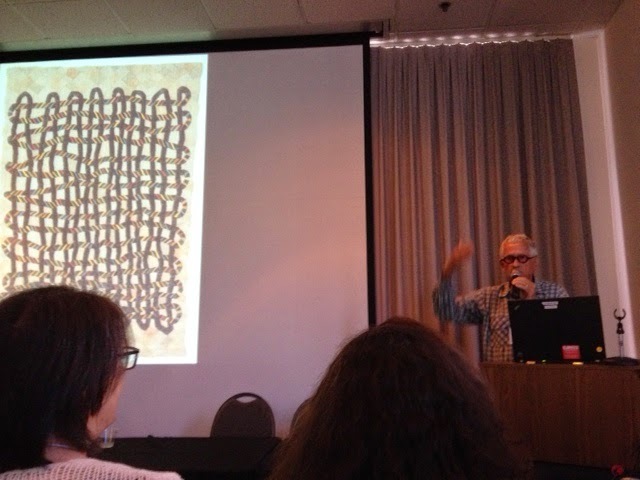 This weekend, fiber lovers in Los Angeles were aplenty: the Textile Society of America convened its 14th Biennial Symposium here, at UCLA and other venues including LACMA. 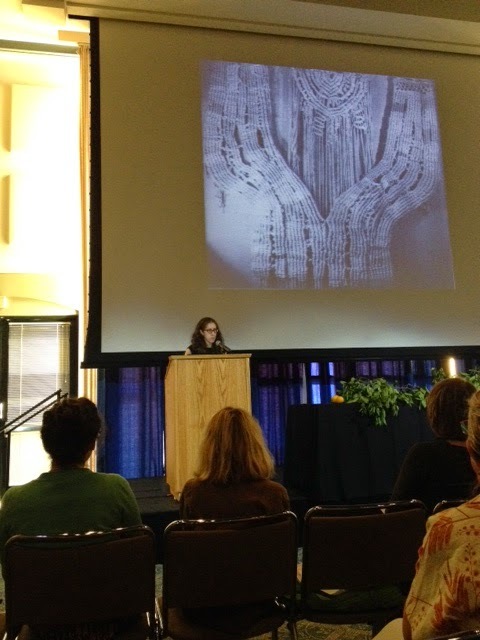 On Thursday, Craft in America’s very own Emily Zaiden, Director of the Center, delivered a talk on the history and impact of UCLA’s large-scale fiber show Deliberate Entanglements. 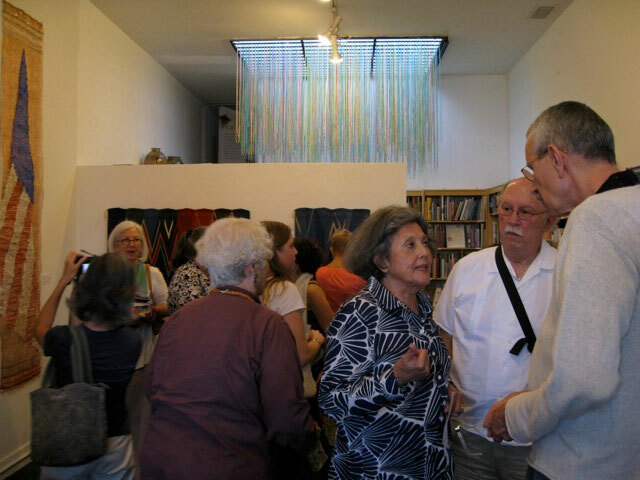 Some of the 1971 exhibition’s attendees were present in the audience, as were its featured artists. It was a poignant convergence of past and present— not to mention on the same territory as the original exhibition, which was held at the UCLA Art Galleries. 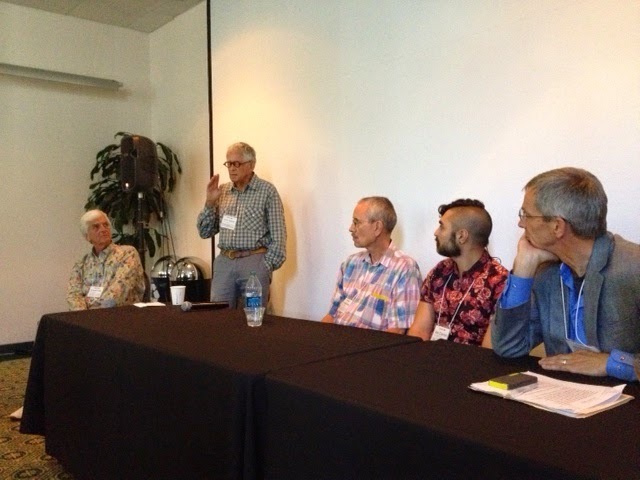 Emily also moderated a panel she organized, Masculine Mystique: Men and Fiber Art, which brought together some of the most influential names in fiber, along with its innovators: Jim Bassler, Ben Cuevas, Joe Cunningham, Gerhardt Knodel and Michael F. Rohde. 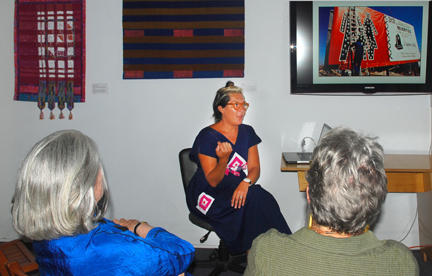 After each artist shared examples of their work (and some entertaining stories), they had a discussion with the audience about the gender politics of fiber and their own personal experiences as males working in fiber. Please join us for an artist talk by Tanya Aguiniga and reception at the Craft in America Center from 5-7pm. Talk begins at 6pm. Tanya Aguiñiga discusses how her work is informed by border experiences, the interconnectedness of societies and the celebration of culture. She is dedicated to utilizing art for community empowerment, and she encourages us to reconsider the objects we use on a daily basis through her fiber and design endeavors. This event is in conjunction with the Looming Elections exhibition at the Craft in America Center. Tanya Aguiñiga is featured in the Crossroads episode. Please join us for an artist talk by Consuelo Jimenez Underwood and reception at the Craft in America Center from 5-7pm. Talk begins at 6pm. This event is in conjunction with the Looming Elections exhibition at the Craft in America Center. Consuelo Jimenez Underwood is featured in the THREADS episode. 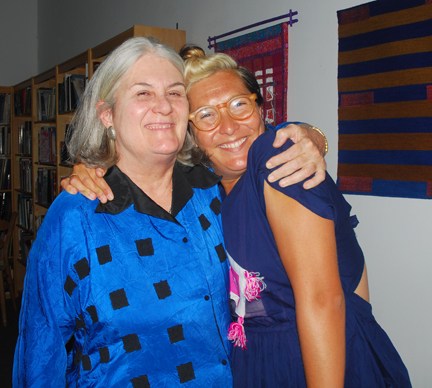 Please join us for artist talks by Connie Lippert at 6pm at the Craft in America Center on Saturday, July 14, 2012 . 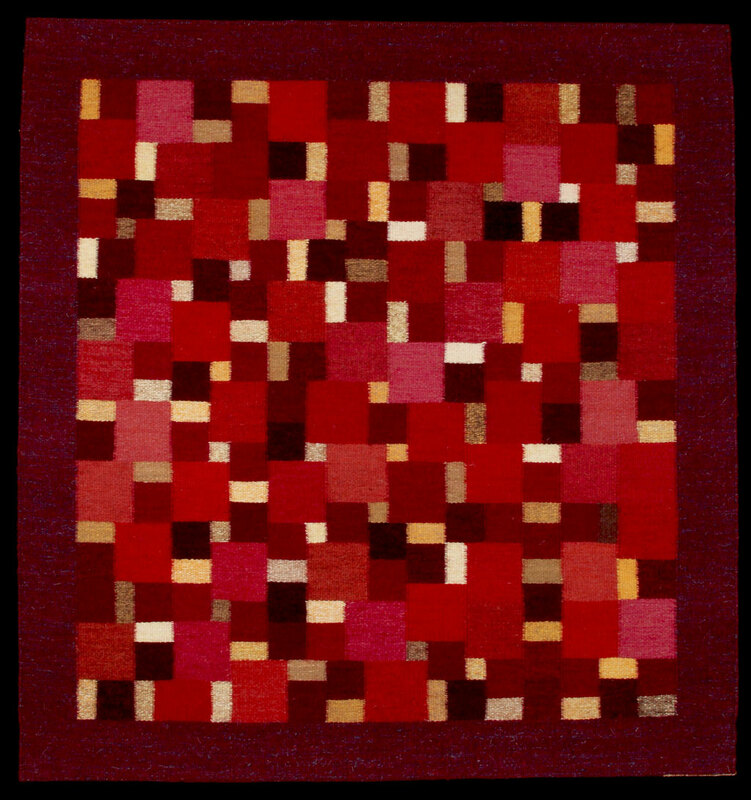 Connie Lippert’s talk is titled Wedge Weave: Contemporary Interpretation of a Traditional Navajo Weaving Technique. This event is in conjunction with the Looming Elections exhibition at the Craft in America Center. 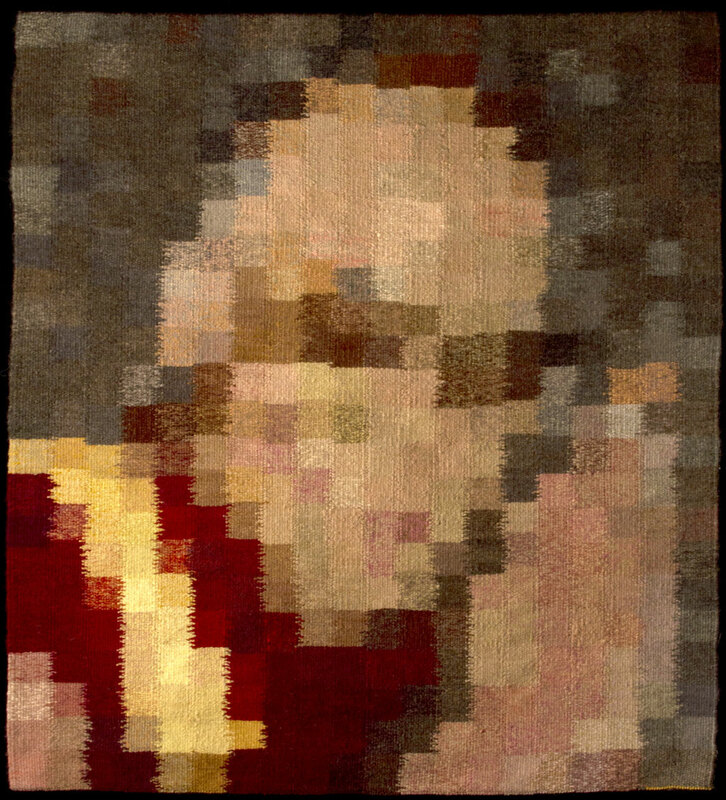 Please join us for artist talk by Cameron Taylor-Brown on Saturday June 16, 2012 at 6pm, and the opening reception of Looming Election: Woven Works at 5pm – 7pm. Each of these five artists comes from a different aesthetic standpoint but they are unified by their desire to explore the expressive potential of fiber. Tanya Aguiñiga, who trained in furniture design, experiments with alternative weaving structures and explores concepts of border identity and ethnicity in her site-specific work. 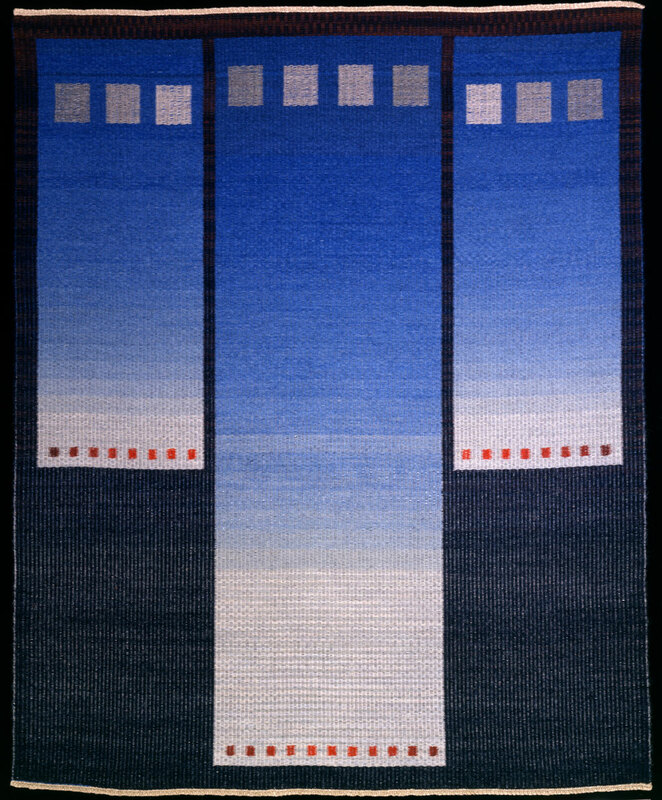 Connie Lippert is known for tapestries woven in the traditional Navajo wedge weave, here employed to map our world and question where we stand. 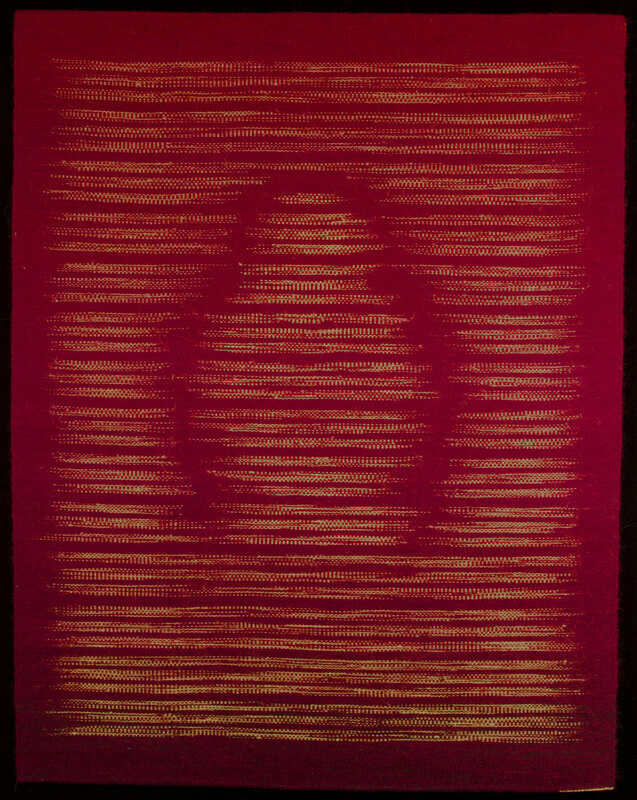 Michael Rohde paints poetic, suggestive meditations on modern life in yarn, using strong geometry and vibrant color. 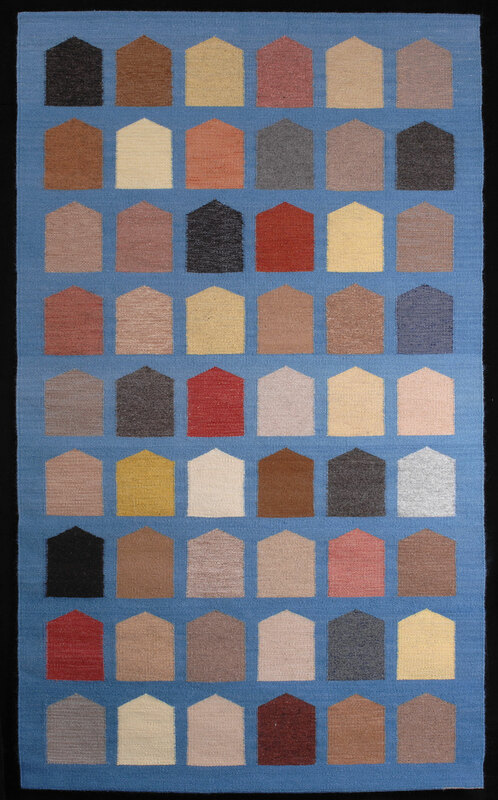 Consuelo Jimenez Underwood‘soutspoken works in fiber challenging our conceptions of ethnic politics and calling into question social and economic hierarchies that exist in American life. Please join us for the opening reception of Looming Election: Woven Works by Tanya Aguiñiga, Connie Lippert, Michael F. Rohde, Cameron Taylor-Brown, and Consuelo Jimenez Underwood. 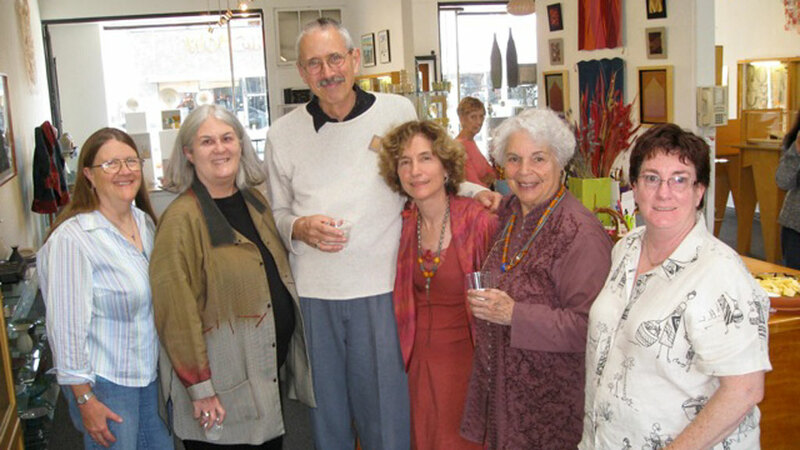 Opening reception and artist talk on Saturday, June 16, 2012 from 5-7pm.